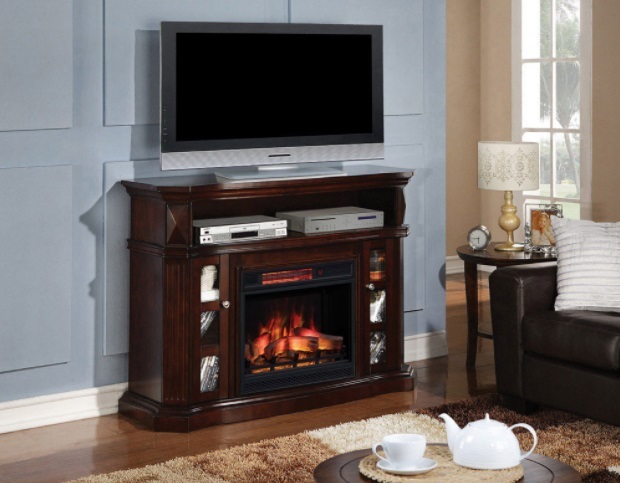 The Bellemeade Electric Fireplace Media Console is breathtaking with an elegant espresso finish. The convertible style and serpentine shape makes this piece the perfect focal point to any space in your home. The entertainment center has ample media storage with its large center shelf, and two side cabinets. It offers maximum efficiency including maintenance of all the cords with the integrated wire management channels. Enjoy your favorite movie while staying cozy and warm with the heat provided by the powerful fan-forced heater capable of producing supplemental heat for up to 400 Sq. Ft. The life-like flame effect created by the SpectraFire electric firebox tops off the overall look of this beautiful media center. For the ultimate in year-round enjoyment, the flame effect and heater can be used independently from one another. 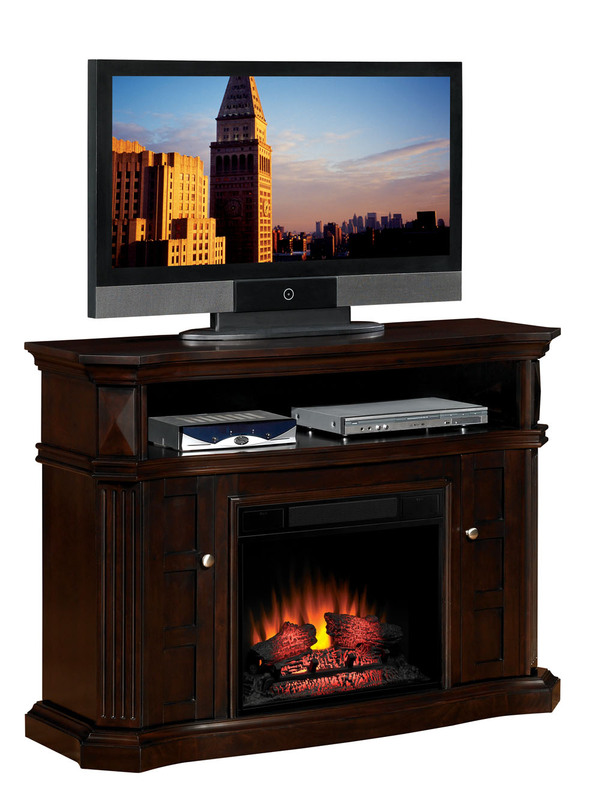 This multifunction transitional style TV stand is the perfect spot for your flat screen TV. The Bellemeade's integrated wire management is designed for the contemporary living room. The mantel's fluted details on the shelves and exterior complement the windowed doors, which open as one piece, creating maximum side shelf storage and access. Simple, hassle-free assembly with just a Phillips head screwdriver.